Buy One Get One FREE Fisher Price Laugh And Learn Toys! Tons To Choose From! 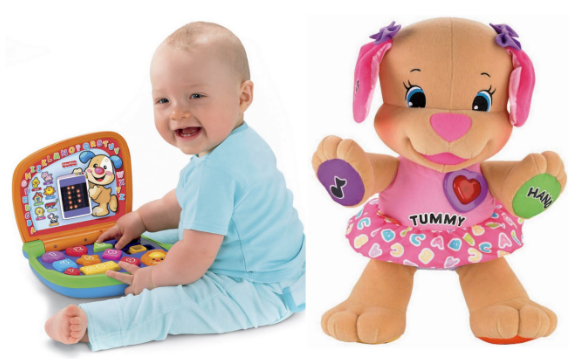 You are here: Home / Instagram / Buy One Get One FREE Fisher Price Laugh And Learn Toys! Tons To Choose From! WOW! Here’s chance to stock up on the kids toys and save a bundle! Right now you can Buy One Fisher Price Laugh and Learn Toy and Get One FREE!! This is a GREAT deal! PLUS when you spend $75 in qualifying toys (including Fisher Price) you get a FREE Gund 2014 Amazon Collectible Teddy Bear!